This is the smallest of the wall sconce family. It is a popular gift at naming ceremonies therefore the name Nursery sconce. The base is handmade in brass and have later been tinned. 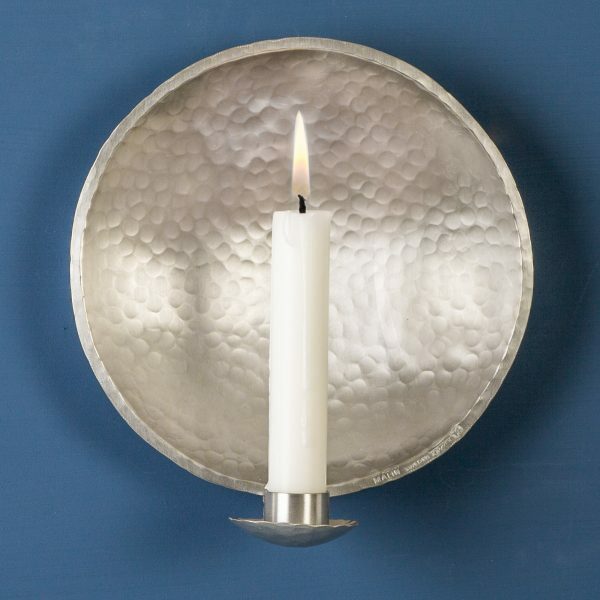 Pewter (tin) is soft and sensitive to heat and with a base, made of brass, the wall sconce will stand for safety if you forget to blow out the candle. It measures 15 cm ø. This product you don't need to polish. Just wash it with lukewarm water if needed. The perfect size of candle would be 19 ø x 135 mm high.